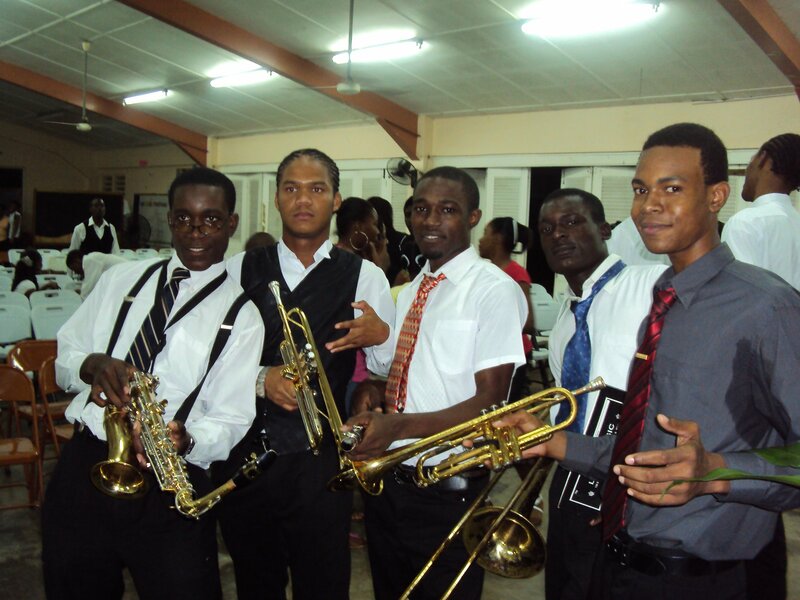 The Sam Sharpe Community Band - "Young Jamaica Ensemble" is located in the beautiful suburbs of Montego Bay on the campus of the Sam Sharpe Teachers' College. 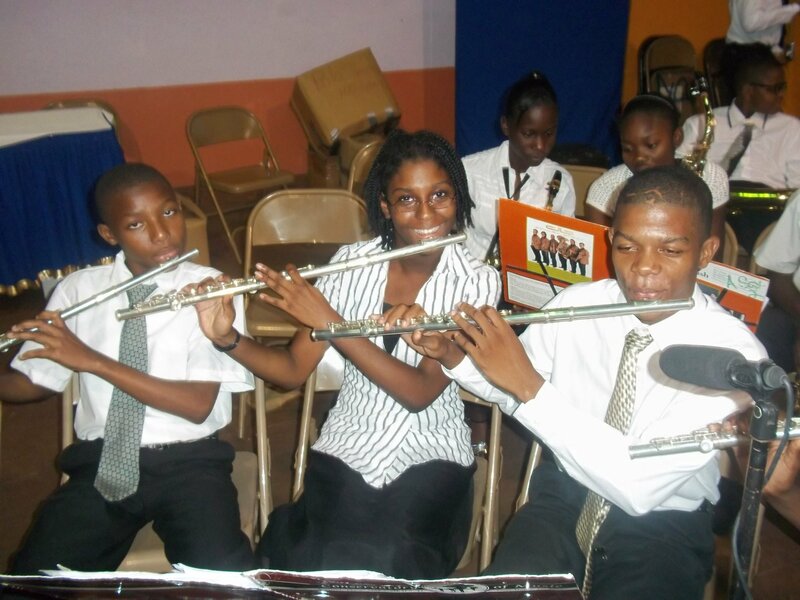 The Band is part of the college's continued outreach in the communities that encompass it, and provides through a rich and diverse performing arts programme, opportunities for "at-risk" adolescents to enhance their lives, making themselves, better musicians. 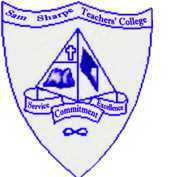 The band was formed by the founding Principal Dr. Simon Clarke in 1979, primarily aimed at creating some after-school activity for young men and women in Granville Montego Bay St. James. 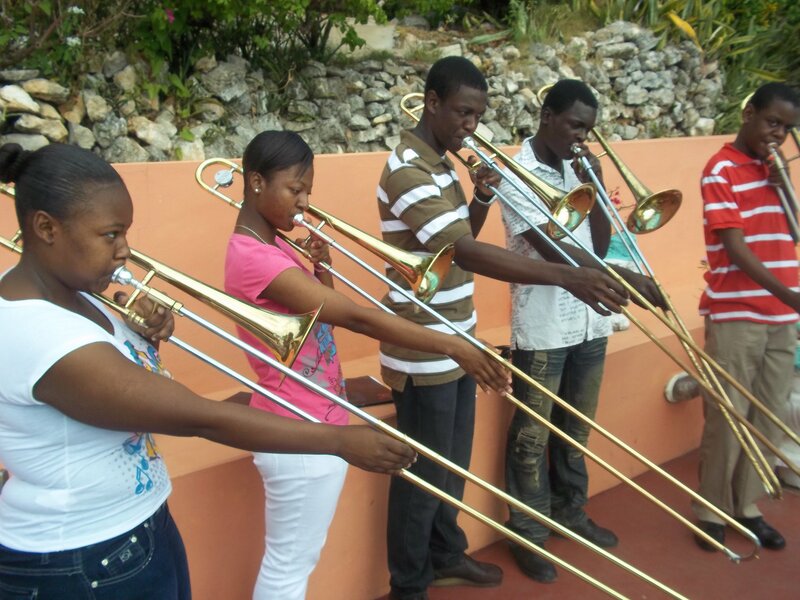 The ensemble attracts students from all over Jamaica's second city, Montego Bay. Involved in the nurturing of many of Jamaica's music professionals - we have a reputation to be reckoned with. High standards are set for students, while maintaining a belief in enjoying the value of artistic achievement. Music is such an integral part of our culture and personal lives. Understanding more about music and actively participating in it enriches everyone. It is the philosophy of the music department to understand what motivates each student to seek music education and to enhance that motivation with an individually tailored programme. Our focus is on providing a rich educational experience to talented students in a supportive and professional atmosphere. The excellence of the department is a direct result of the faculty members who combine distinguished backgrounds as performers and scholars with a dedication to teaching. To promote through programmes in the performing arts (music), opportunities for talented "at-risk" adolescents, to be professional young musicians, enhancing themselves, their families, their communities and their nation.